Smoked mackerel pate - home cooked food delivered. 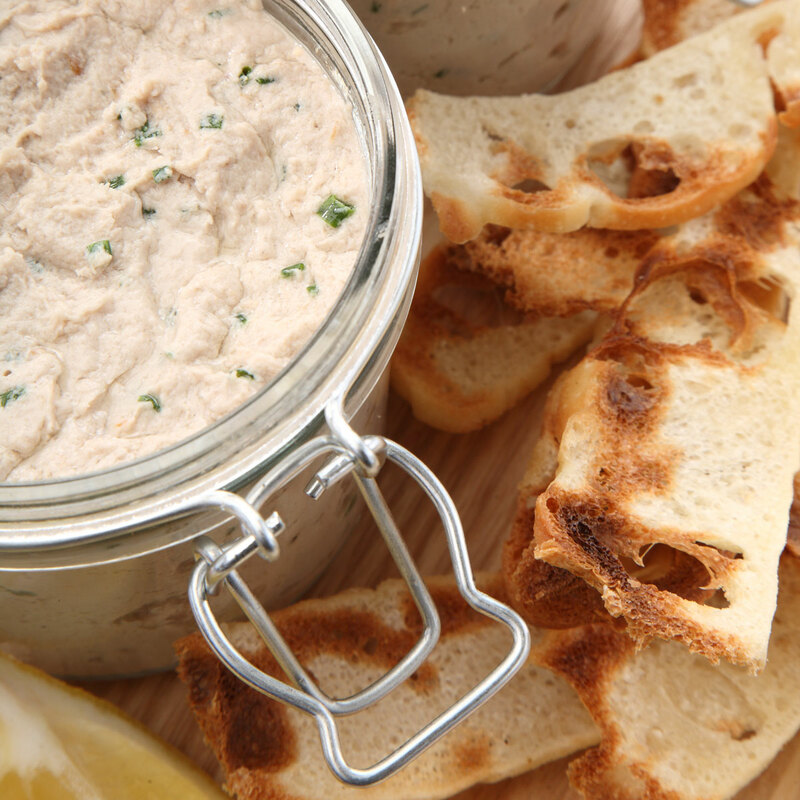 This delectable smoked mackerel pâté is very tasty indeed, and terribly “more more moreish”. As well as using it as a starter, try spreading it thinly on crostini with thin wedges of lemon for a sophisticated canapé. Ideally served at room temperature with warm toast. Goes perfectly with our home made piccalilli. Use within 5 days. Keep refridgerated and do not freeze.